Advanced Accounting students from Grace College work together during the Indiana CPA Society’s 11th annual Day of Service. Left to right: JoJo Risinger, Matt Morgart, Richie Ulrey, and Joseph Nishimoto. 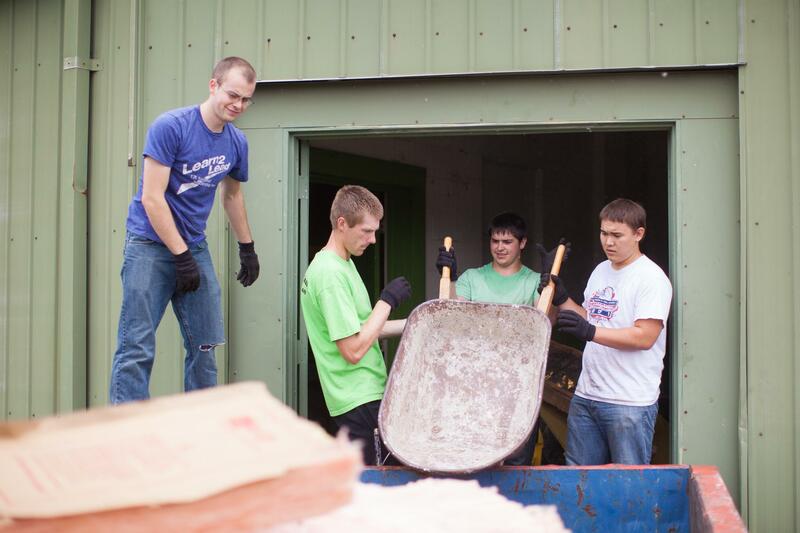 Grace College accounting students took time from class recently to assist Winona Lake, Ind., organizations, including Combined Community Services, Lakeland Christian Academy and Fellowship Missions. Their involvement on Friday, September 20, was part of the Indiana CPA Society’s 11th annual Day of Service and allowed the students who volunteered to gain service experience and build relationships in the community. Each year, hundreds of Indiana CPAs and accounting students perform community service and help worthwhile organizations in their community. Last year, there were more than 500 volunteers.